Did anyone make any resolutions for the new year? I made a couple. Some are more like goals for the business I’m running, some are personal for self-improvement. Some are for kicks really (I’m going to see if I can go the entire year without soda….). Specifically related to Indie Music Filter, I’m going to try and post more and really open up my ears to the great music that is out there in this world. I hit times in ’07 where I couldn’t stand to listen to any music, or couldn’t really figure out a way to tell you why you should give it a chance. I think it had to do with sheer volumes and the fact that I’m getting older…. maybe I’m getting jaded (they say that happens to quite a bunch of people who work in the music industry). I’ve shaken all that off for now, refreshed, I go forward. So, the first song of 2008 to get stuck in this head of mine is Sunshine Sunshine by Goodtimes Goodtimes, a songwriter from London, England. 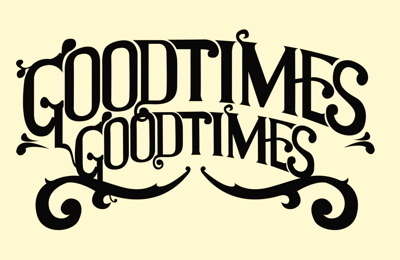 I got an e-mail recently from Franc Cinelli, the man behind Goodtimes Goodtimes, pointing me to a couple of his songs. On first listens, I knew I liked it. Did it remind of Dylan and Petty? Or was it just the solid mix of traditional blues, folk and country evident in his music? Maybe both. You can find more tracks for download here, or on his myspace page.